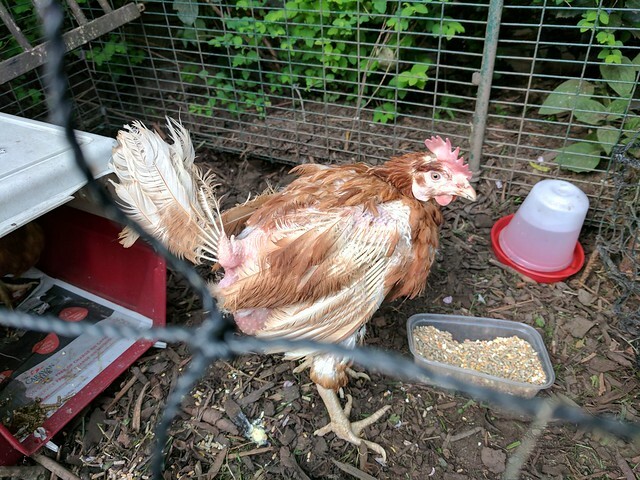 We had a death a month or two again – Houdini the chicken looked a little peaky in the afternoon, but she’d looked peaky before and rallied so we left her to it and went out to see Jason Donovan in Priscilla The Musical On Tour. By the time we came home, Houdini was dead, and in full rigor, under the feed bowls. 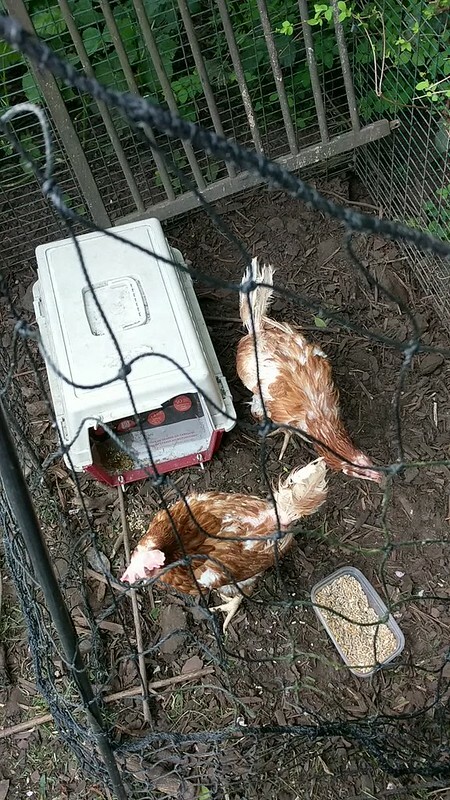 Going from two chickens to one answered a few questions in a slightly surprising way. We had assumed it had been Persephone laying the shell-less eggs, and that it had been Houdini who like to shout from the rooftops at 5am dawn. It had been the other way around. 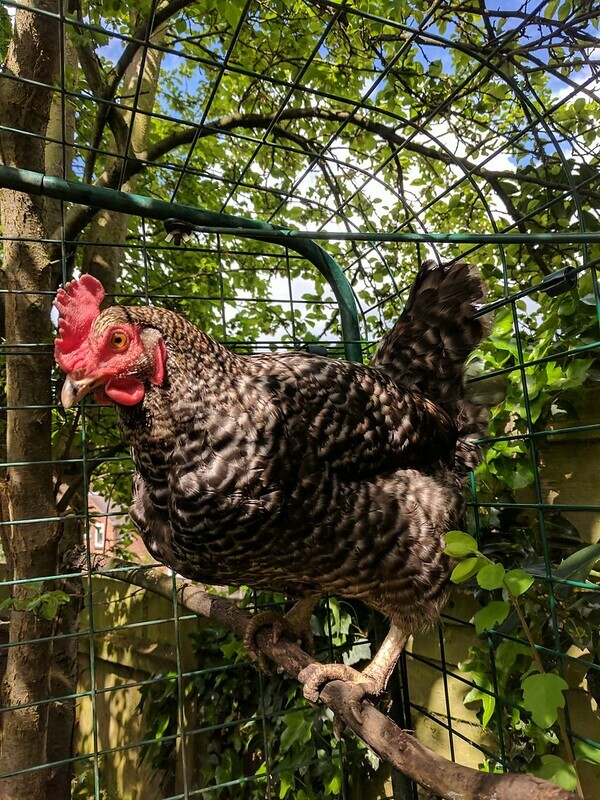 The chicken lady was concerned our existing bird would try and injure our new one, but our concern, on seeing the birds for sale, was that they were enormous and it would be Persephone who would suffer. 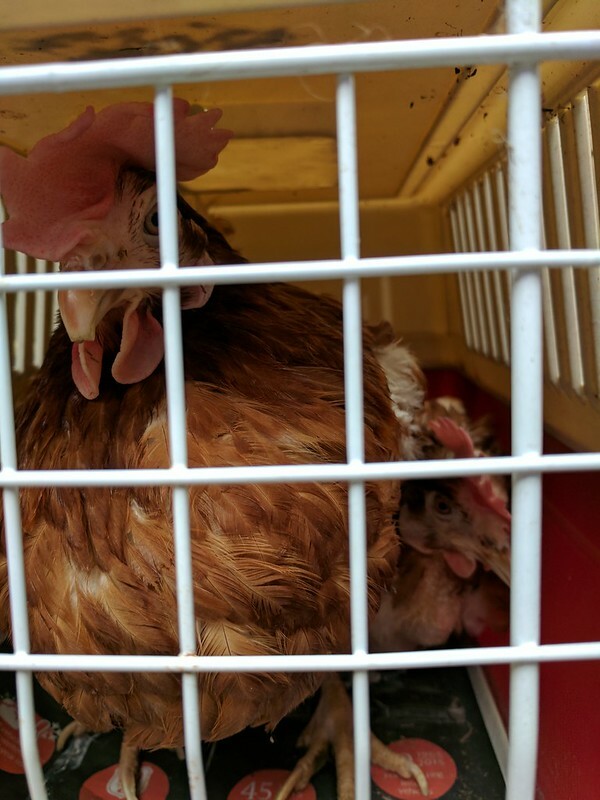 It’s her size that gave Bertha her name: as the chicken lady hoiked her out of the pen and trimmed her wing, she said, “Come here, Big Bertha!” And that’s the name we’re going with. 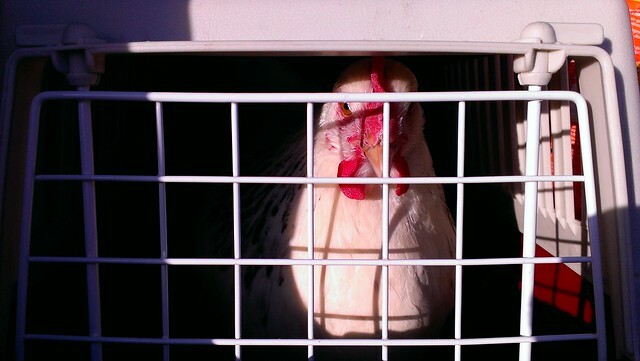 We drove her home, chucked her in the pen, watched for half an hour and there wasn’t too much aggro. Persephone ducked and froze for a while and allowed herself to be pecked before flying up to a perch and sitting out of the way and bokking. Then she jumped down and gave chase for a few minutes before it was Bertha’s time for the solitude of the perch. It’s quite hard to take pictures of a white chicken against the dark of the bark, she just ends up overexposed and ghostly. Chickens generally don’t stay still long enough for good photos anyway. 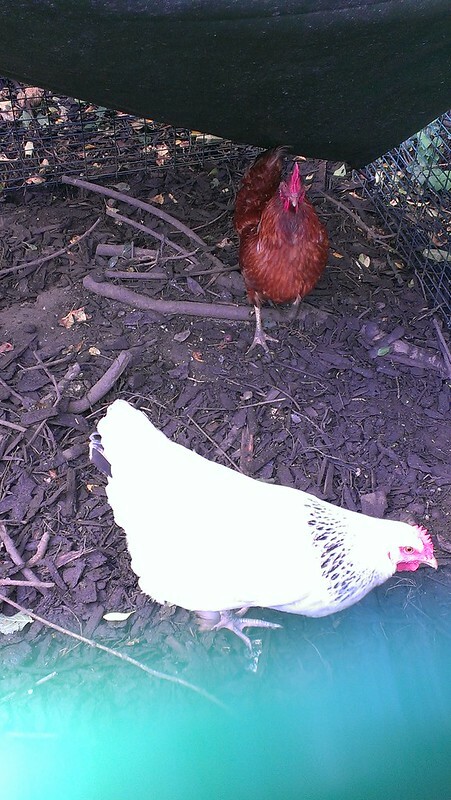 We heard chicken calls for a while after we got back into the house but now it’s after dark. 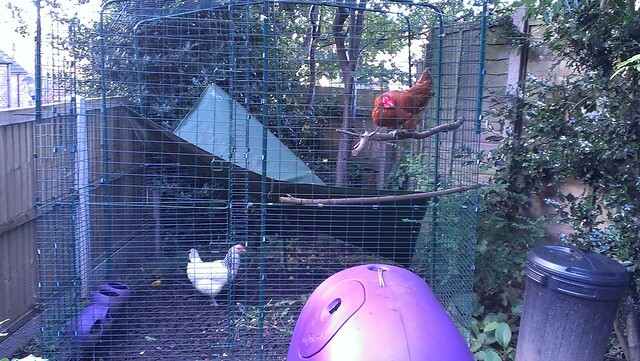 Have the hens managed to roost together without another battle? Better go and check.